Why Did WaPo Let Ocasio-Cortez Skate By In Its Green New Deal Fact-Check? “No one created ‘doctored’ versions of the Green New Deal that included these outlandish proposals,” Post fact-checker Salvador Rizzo wrote in an article published Monday. U.S. Representative Alexandria Ocasio-Cortez (D-NY) wipes away tears as Representative Ilhan Omar (D-MN) talks about her own experience as a refugee during a news conference to call on Congress to cut funding for ICE (Immigration and Customs Enforcement), at the U.S. Capitol in Washington, U.S. February 7, 2019. REUTERS/Jonathan Ernst. 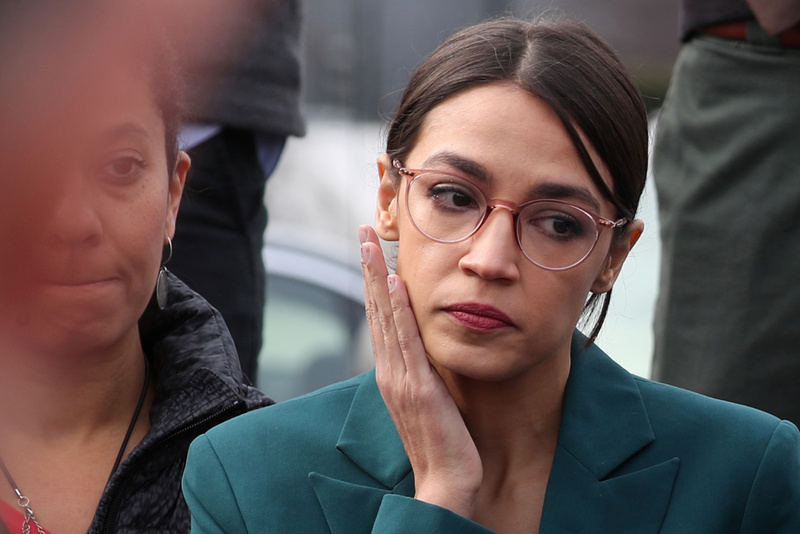 Saikat Chakrabarti, Ocasio-Cortez’s chief of staff, said his office mistakenly published a gaffe-riddled FAQ that didn’t match the Green New Deal’s legislative text. Chakrabarti, however, also claimed a “doctored” FAQ circulating around the internet. Hockett later admitted to TheDCNF that he was wrong. The Post’s Rizzo dinged Ocasio-Cortez for claiming a “doctored” FAQ was the source of Green New Deal gaffes. However, Rizzo did not award any “Pinocchios” to Ocasio-Cortez or Trump. A “Pinocchio” is how The Post rates truthfulness — the more “Pinocchios,” the bigger the fib.